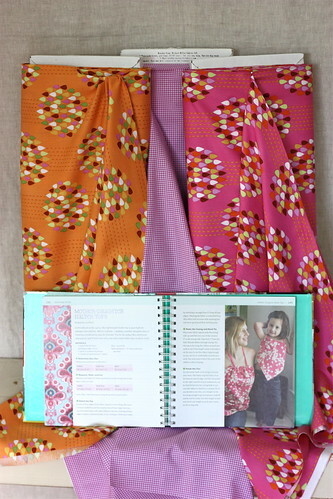 Welcome to Week 23 of the One Yard Wonders Sew Along! Special Thanks to all of you who posted such nice comments on our Half Way There Celebration! Tracy selected three fabrics Erin McMorris Summersault Raindrops Apricot, Erin McMorris Summersault Raindrops Rose and Michael Miller Fabrics Mini Mikes Tiny Gingham Lavender. Carrie chose two fabrics. 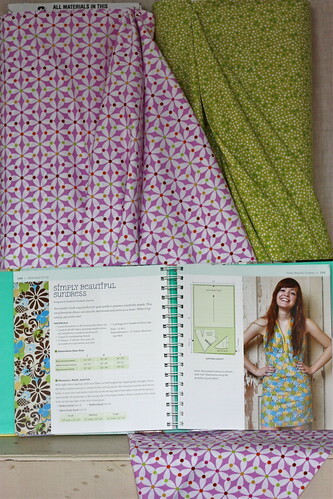 Erin McMorris Summersault Pinwheel Blush and Michael Miller Fabrics Mini Mikes Scatter Square Lime.